Welcome to this new series on Workplace Trends. 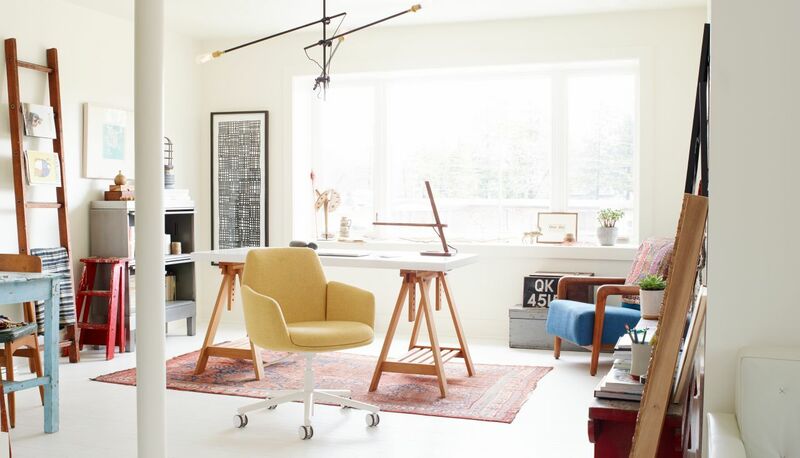 Since making the move from furniture maker to consulting on work environments, I have been pleasantly surprised by the shift in design taking place at the office of late, and more importantly the trends that are shaping the new workplace. I'll be sharing some of the things I discover along the way from cool new products, inspiring spaces, and how to make the most of the exciting changes happening at work! The Poppy Chair truly embraces hybrid environments, thoughtfully tagged the “here, there and everywhere” chair. 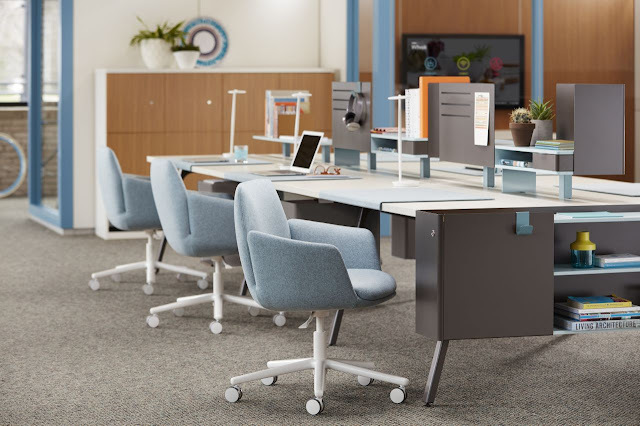 Suitable for inviting collaborative areas to comfortable and quiet heads down work, poppy is available with 3 bases, and in a range of beautiful colours. I have spotted this delightful perch at reception, at collaborative work tables and as guest seating in private offices, and it always makes work feel a little like home. Today’s work environments differ dramatically from those of the past. With a greater understanding of how people work, spaces can be designed to engage, inspire, collaborate or focus. The Poppy chair fits seamlessly into any of these work spaces, injecting comfort, style and character for a most productive work place.